The PGA Tour was officially founded on December 2, 1929. Here is a list of the golfers with the most lifetime wins on the PGA Tour. The wins below are only for the PGA Tour and do not include wins on other tours like the European Tour or the PGA Tour Champions (senior tour for golfers over 50 years of age). Being a prolific winner on the PGA Tour is not easy. To date, only 37 players have ever won 20 or more times on the PGA Tour. That is a significant number because any player who wins 20 events becomes a lifetime PGA member and never has to qualify again. There are only two active players who have won 20 or more times on the PGA Tour and both players make this list of golfers with the most lifetime wins on tour. While the PGA Tour was officially founded in 1929, events played before then are included below if they were subsequently deemed by the PGA Tour as official wins. Sam Snead leads the list of golfers with the most PGA Tour wins with 82. Slammin Sammy won his first PGA Tour event in 1946 and his last win was in 1965 when he set the still standing record for the oldest player to win an event at age 52 years and 10 months. In addition to being the career wins leader and oldest golfer to win a PGA Tour event, Sam Snead holds a number of other PGA Tour records. He is tied with Tiger Woods for the most wins at one event with 8, he is the oldest player to make the cut at a major (67 years), he is the first PGA player to shoot his age (67 in 1979) and Sam Snead is the only male golfer to ever win a LPGA event (Royal Poinciana Invitational in 1962). Seven of Sam Snead's 82 career PGA Tour wins came in golf majors. Snead won the Masters and PGA Championship three times each and won the British Open once. He never won the U.S. Open but was runner-up four times. 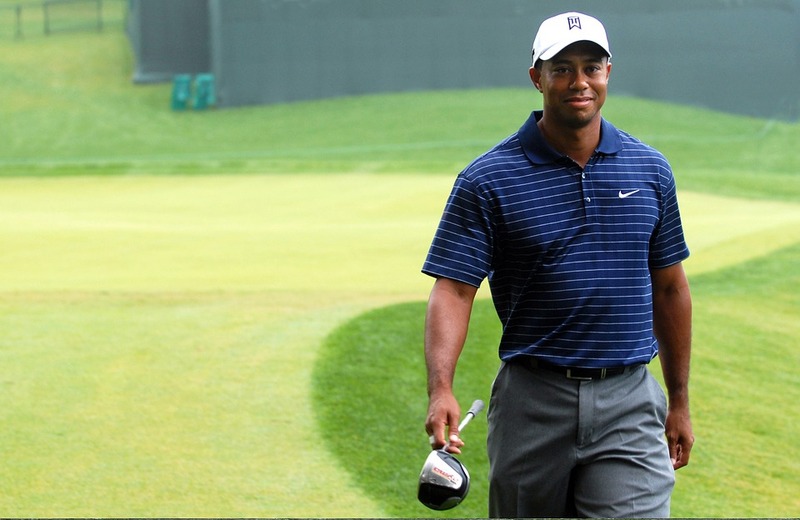 Tiger Woods is second on the all-time wins list with 80. Tiger won his first PGA Tour event in 1996 and his last win was in 2018. Fourteen of Tiger Woods 79 PGA Tour wins came in golf majors and Tiger has won all four golf majors multiple times giving him a career Grand Slam. Jack Nicklaus is third on the all-time career wins list with 73. Nicklaus holds the record for most career major wins with 18. As mentioned above, Jack Nicklaus only won five times on the PGA Tour after age 40 but three of those wins were in majors. Jack Nicklaus won his first event in 1962 (at the U.S. Open) and won his last event in 1986 at the Masters. So both his first and last wins on the PGA Tour came in golf majors. Lee Trevino has often said that Jack Nicklaus would have won many more PGA events, including majors, had he not been such a devoted family man. Nicklaus greatly curtailed how many events he played in as he grew older so he could spend time with his family. Many times when Jack Nicklaus did play in events he would often play a round and then fly home on a private jet to watch one of his sons football games and then fly back to the event the next morning to play in the next round. Ben Hogan won 64 times on the PGA Tour to rank fourth on this list. Hogan won his first event in 1938 and his last event in 1959. Nine of his wins were in golf majors and he won each major at least once for a career Grand Slam in golf. Arnold Palmer won 62 times on the PGA Tour which ranks 5th best. Palmer won his first event in 1955 and his last win was in 1973. Seven of his wins were in golf majors. He won the Masters four times, the British Open twice and the U.S. Open once. He never won the PGA Championship but finished 2nd three times. Byron Nelson retired from golf at the age of 34 after the 1946 PGA season. He did play occasionally after that on tour but 51 of his 52 wins came before he retired. Had Byron Nelson not retired so early he would likely be the career leader in wins. In 1945, one year before he retired, Byron Nelson set the records for most wins in a season at 18 and most consecutive wins in a row at 11. In 1946, Nelson won six more times and then retired to his ranch in Texas. Nelson won five majors in his career but was a British Open win from completing a career Grand Slam. Billy Casper won his first PGA tournament in 1956 and his last in 1975. Casper only won three majors in his career probably because he was competing against Jack Nicklaus, Arnold Palmer and Gary Player, who won 34 majors combined, for most of his career. Out of Walter Hagen's career 45 wins on the PGA Tour 11 of them were in golf majors. A very high figure which reflects his greatness and the fact that there were not as many PGA Tour events in Hagen's day. Walter Hagen won his first event in 1914 (at U.S. Open) and his last win was in 1936 (when he was 44 years old). He won the PGA Championship five times, the British Open four times and the U.S. Open twice. The Masters did not start until 1934 when Hagen was already 42 years old and he never won it. Had there been four majors in Hagen's day he clearly would have won a lot more than 11 of them. Phil Mickelson won his first of 44 PGA tournaments in 1991 (as an amateur) and his last win came in 2019 at the AT&T Pebble Beach Pro-Am.. Mickelson is now 48 years old and you have to wonder if he will ever win another major. He has certainly played well enough to win (his 2nd to Henrik Stenson at the 2016 British Open would have won just about any other major in history) but he's now at an age where players rarely win majors on tour. Phil Mickelson has won five majors but he's still missing a U.S. Open to complete a career Grand Slam. Amazingly, Mickelson has come in 2nd place a record six times at the U.S. Open. He skipped the 2017 U.S. Open to attend his daughter's high school graduation. Cary Middlecuff rounds out the list with 40 career wins. Middlecuff won his first event in 1945 (as an amateur) and his last win was in 1961. Only three of his career wins were in major events but he did come in 2nd place four other times and he only played in the British Open once. Middlecuff battled a bad back for much of his career.